Are you in search for a free WP theme that’s going to make your business platform stand out from the crowd? Well, look no further. 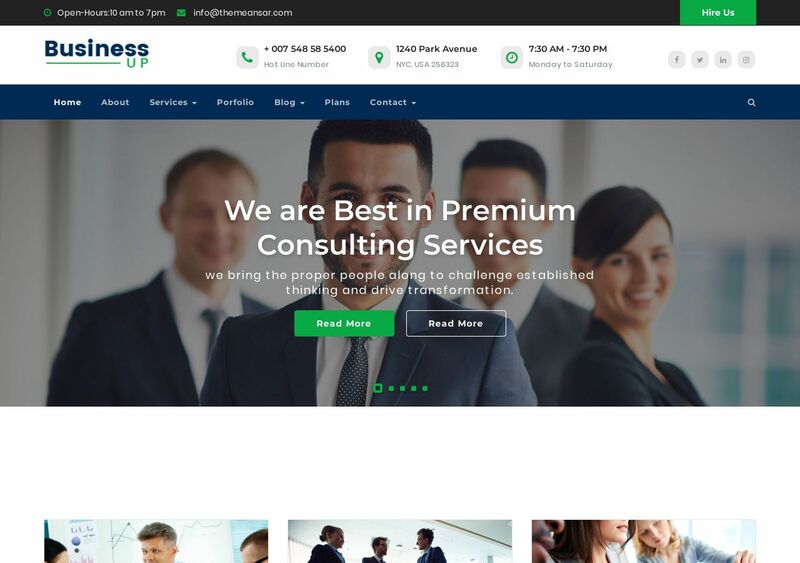 What we have here is Businessup — a sleek and professionally designed theme for multi-industry businesses. That’s right, whether it’s a startup you’re launching or you wish to sell car parts — this lovely theme isn’t going to discriminate. In fact, it’s one of those works of arts that just keep on giving. Utilize the phenomenal testimonial widget to display reviews in true modern fashion. We hate seeing customer feedback being burried deep down on the homepage, so we’re glad to see that Businessup theme embraces giving your potential customers a fair look on feedback.